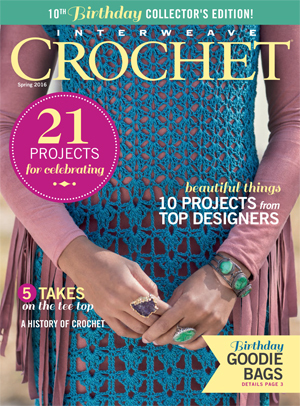 Crochet your own Water Lily shawl from the Interweave Crochet Spring 2016 issue. This kit includes a copy of the magazine with the shawl pattern, as well as 1 full hank of amethyst yarn from The Fibre Company. Lisa Naskrent has been engaging crocheters with her delicious shawls since 2008, when she presented her Dragonfly Shawl (Winter 2008). Her Water Lily Shawl features exuberant clusters of elongated stitches that bloom into soft fans, held in balance with alternating rows of solid clusters. This kit contains Interweave Crochet Spring 2016 and a skein of gorgeous amethyst yarn to create this delicate spring shawl. There is a limited quantity - order your kit today! 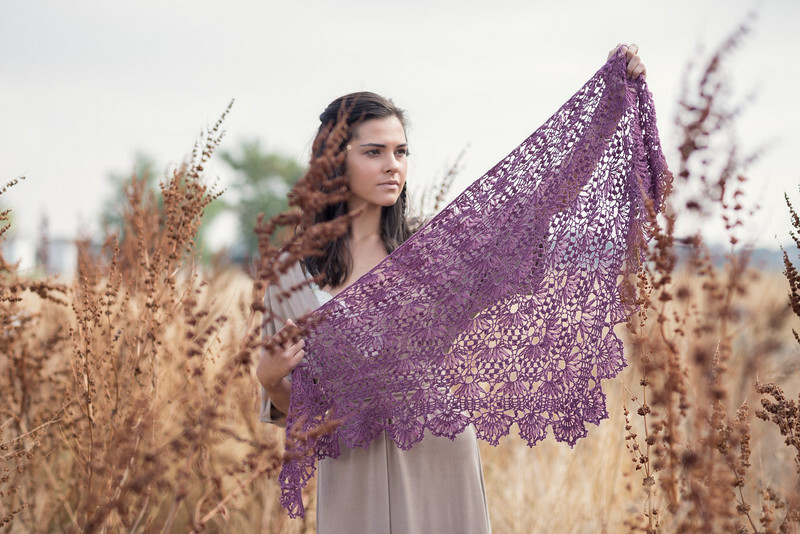 The Create Lisa's delicate and intricate shawl this spring in a gorgeous muted purple shade. This pattern features a fan pattern and elongated stitches to add tons of texture. 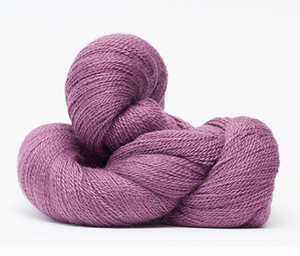 It also features love knots and is made in a soft mixed-fiber yarn. Finished Size: About 60" wide and 24" long at center back. Hook: Size G/6 (4.25 mm). Adjust needle size if necessary to obtain the correct gauge. Gauge: 1Rows 1-8 = 2½" long and 7" wide, unblocked. This kit includes 1 full hank of Road to China Lace Yarn from The Fibre Company in Light Amethyst. Each skein is 656 yards. This yarn is incredible! It is soooo soft! And the pattern is working up even prettier than the picture! (If that's possible) I am on row 6 now and I was worried at first because I'm more of a knitter than crocheter and I'm not that familiar with the different crochet stitches. I thought it would be hard and time consuming figuring everything out, but the instructions are written so well and there is a stitch guide at the beginning of the pattern so you don't have to hunt around what that stitch is. I also really like that there are written instructions and the picture type instructions. I am mostly using the written instructions but referred to the picture instructions to clarify something for me. That was great to have both!